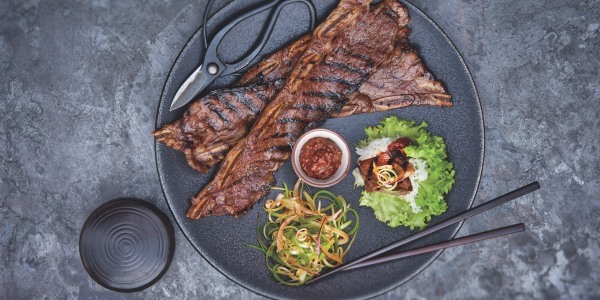 Chef Judy Joo shares her favorite Korean ingredients that will wake up any dish, including the popular gochujang, as well as kangjang, mirim and more. 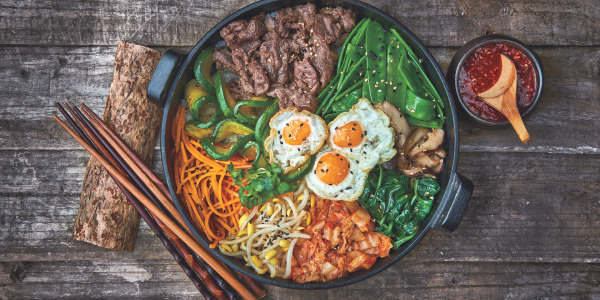 Korean food has seen a major uptick in popularity in the U.S. over the past few years and demand for the cuisine shows no signs of waning: Pinterest named "Korean condiments" among its Top 100 Trends to Try in 2018, thanks to a more than 200 percent increase in saves (which may be due in part to the Winter Olympics in Pyeongchang). But even if gochujang has been your spice paste of choice for years, there's probably more you can learn about Korean ingredients. 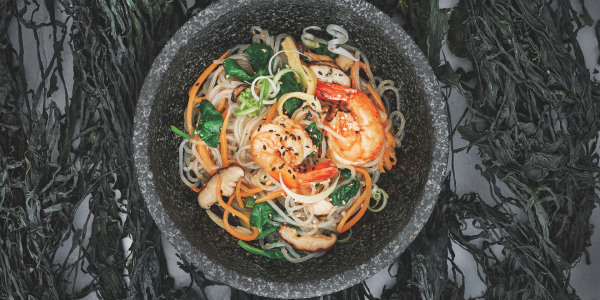 Judy Joo, chef-owner of Jinjuu restaurants in London and Hong Kong, TV host and author of "Korean Food Made Simple," shared her favorite Korean pantry essentials with TODAY Food. Here are the details on her seven must-try Korean ingredients. Korean food relies on a few staple ingredients that give the cuisine its most beloved characteristic flavors. Luckily, online retailers sell most of these ingredients now, placing Korean cooking at your fingertips. Add a few of these pantry essentials to your daily cooking and you’ll be able transform some of your meals into something extraordinary. When choosing products, read the ingredients carefully and stay away from ones that contain a lot of MSG or preservatives. Here are a few of my favorites. "Gochu” means chili and jang means “paste.” This red fermented chili paste may look super spicy with its fiery red hue, but it actually has a balanced earthy and slightly sweet flavor. Sweet rice paste and malted barley powder mellow out the red chili flakes and the fermentation process produces a deeply complex umami flavor. Use this paste in everything from soups and dips to marinades and dressings. It will surely become one of your go-to hot sauces. "Gochu" means chili and "garu" means powder. These Korean chilies really do have their own taste. Earthy, slightly sweet and not too spicy, gochugaru is extremely versatile. This spice will kick up the heat while boosting flavor to any dish ... and add a sprinkle of vibrant color. Dwengjang (also spelled "doenjang"), a paste made from fermented soy beans, is Korea’s version of miso paste, but much stronger, funkier and a bit coarser. Deeply complex and full of deep umami flavor, dwengjang enhances stews, soups, marinades and dressings. A small spoonful goes a long way so don't use it too liberally. One of the best dipping sauces to come out of Korea, this spicy condiment made from both gochujang and dwengjang, as well as a smattering of other spices, is totally addicting. Traditionally served to accompany Korean barbecue, ssamjang, which means “wrapping sauce," makes every bite of meat memorable. It is spicy, salty, sweet, tangy and harbors an excellent depth of flavor — your barbecue will never be the same. You can buy pre-made ssamjang, or make your own by following my spicy lettuce wrap sauce recipe. Kangjang is a fundamental ingredient in Korean cooking. Because it's fermented, it brings a depth of flavor as well as salt. Soy sauce seasons meats and vegetables beautifully, giving food a richness as well as a hint of color. Roasted sesame oil is a very characteristic flavor and aroma of Korean cuisine. Nutty, earthly and rich, sesame oil finishes many dishes gorgeously with a welcome hint of aroma. Korean cuisine always has a bit of sweetness to round out the other flavors. Mirin, a type of cooking wine, provides an underlying tone of sweet flavors in a discrete, complementary manner.